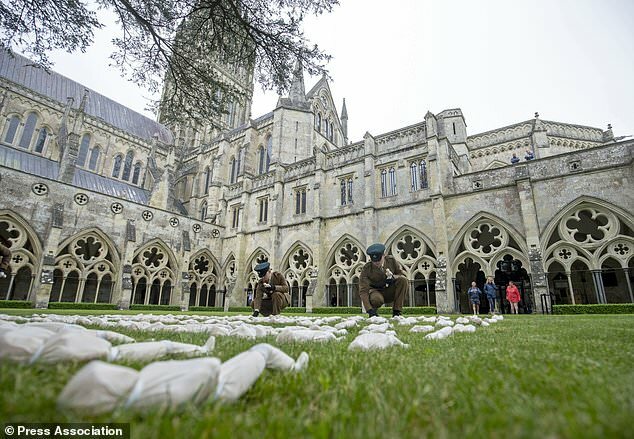 More than 1,500 shrouded figures have been laid out in Salisbury Cathedral’s burial ground to mark the centenary year of the end of the First World War. Soldiers from the 5 Rifles Battalion laid out each of the shrouds in the sacred garth at the heart of the cathedral’s cloisters. Each of the 1,561 shrouds represent one day of the war. The Shrouds Project, created by artist Rob Heard, represents the servicemen and women killed on each day of the First World War. It was installed at the cathedral on Thursday and will be available to view there until Sunday, with further exhibitions in Exeter and Belfast to follow. 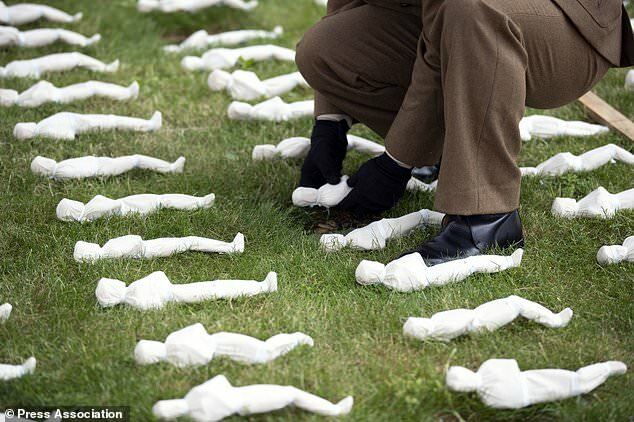 In November, 72,396 shrouded figures representing those killed at the Somme with no known grave will be laid out at the Queen Elizabeth Olympic Park in London to form a focal point for the 100th anniversary of the end of the war.